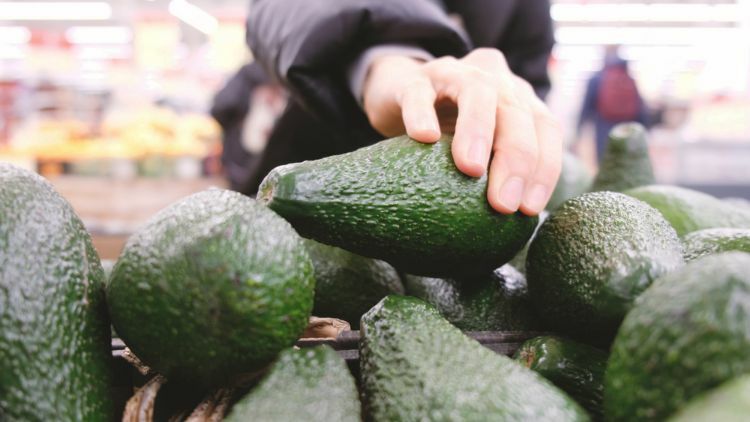 We've all been there -- standing in the produce aisle of our favorite grocery store, rifling through the bin of avocados trying to find that perfect one. Picking them up and squeezing, acting like we know what we're doing. Hoping no one sees through our facade and realizes we're clueless. We grab one that looks good, that doesn't feel too squishy and head for the checkout. Only to be met with one of our worst fears when we slice it: brown streaks or spots of dark, rotten bruising on the inside. Hold on! 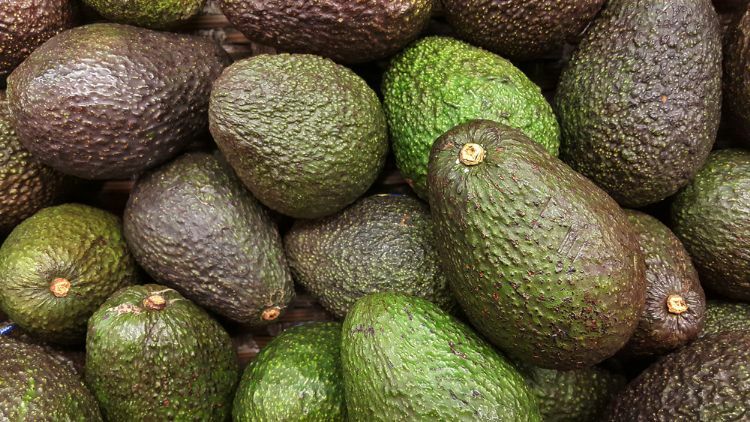 Picking the perfect avocado doesn't have to be sheer luck or coincidence. 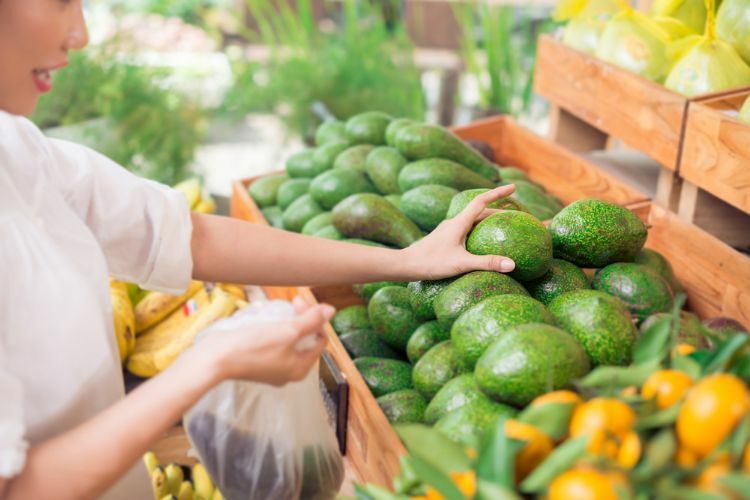 With these 5 great tips you can look like you know what you're doing in the store, and come home with perfect produce! One of the first things to look at is the color. Although it's not a guarantee, ready to eat avocados will be darker in color. 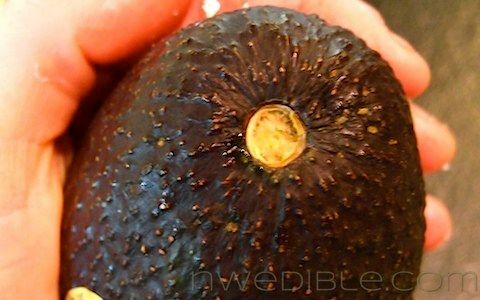 If you are purchasing Haas avocados look for ones that are very dark green to black. Pick them up, to get a feel for their weight. 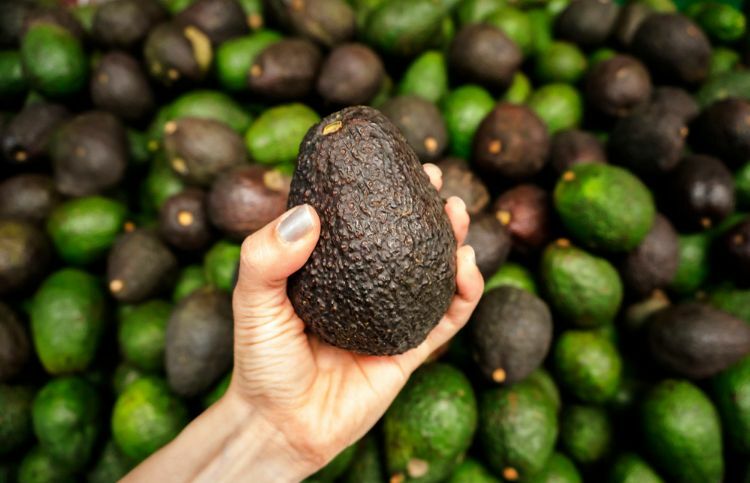 A good avocado will feel heavy for its size or "weighty" in your hand. Look at the outer skin of the avocado. Large indentations or flat spots signify bruising. You want fruit that is oval to round in shape without any obvious blemishes. The skin may have some minor imperfections that look like scars from growing in close proximity to other fruits on the tree or rubbing on branches; this isn't a concern as they are only surface marks. Do NOT use your fingers/fingertips to test how firm the fruit is! I know, we've probably all been guilty of doing just that. This squeezing can cause subsequent bruising at the pressure points, which is called digitizing in the industry. Instead, put the avocado in the palm of your hand and squeeze gently to evenly distribute the force. A ripe avocado will yield to firm, gentle pressure. Once you've found one that you think passes the test, discreetly take a peek at what's inside the fruit. 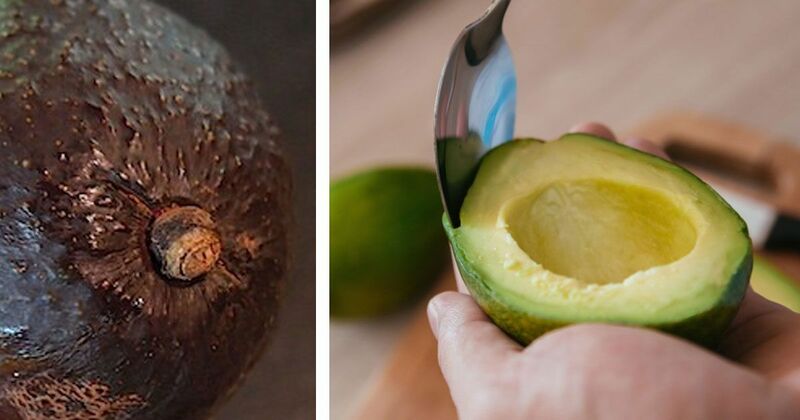 Carefully flick off the dry stem of the avocado. If the flesh exposed underneath is brown, it's rotten inside. If the flesh exposed underneath is the bright yellow-green you're expecting you've picked a winner!